El Born is a barrio of contrasts. At times it seems very modern, while at other times it feels like you’ve travelled back in time. It’s trendy, but it’s traditional too. It’s quite an international neighbourhood, but sometimes it feels very local. And while there are lots of tourists, you can also find some hidden Barcelona spots in El Born, if you know where to look. 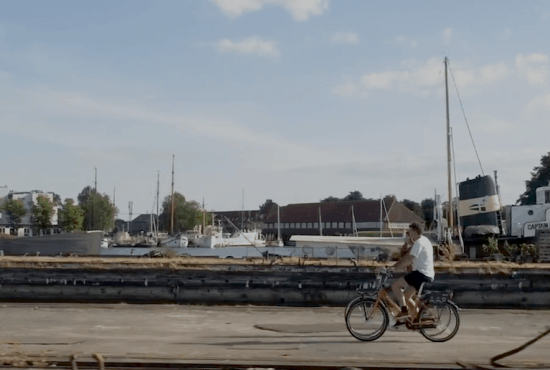 So let’s hop on a bike and take a look around. Because, as you’ve no doubt discovered by now, Barcelona is just better on a bike. And El Born is no exception. The route I’ve made is in the map below, but as always, feel free to lock up the bike whenever you like, and to go your own way sometimes, too. Before we saddle up, a note of caution. On the one hand, El Born, like Raval to the west and Gracia to the north, is a great place to cycle. The medieval streets that form the vast majority of the barrio aren’t wide enough for cars, so you don’t have to worry about that. People, on the other hand, might get in your way. This area is really popular with tourists. For most of this route it shouldn’t be a problem, but you might find yourself needing to keep your feet on the ground (literally) in one or two spots. If you can, try to do this route when you think there might be less tourists around. We’re starting our route on Carrer d’Alí Bei just past the junction with Carrer de Bailèn. Hop on and take the first left onto Carrer de Méndez Núñez. 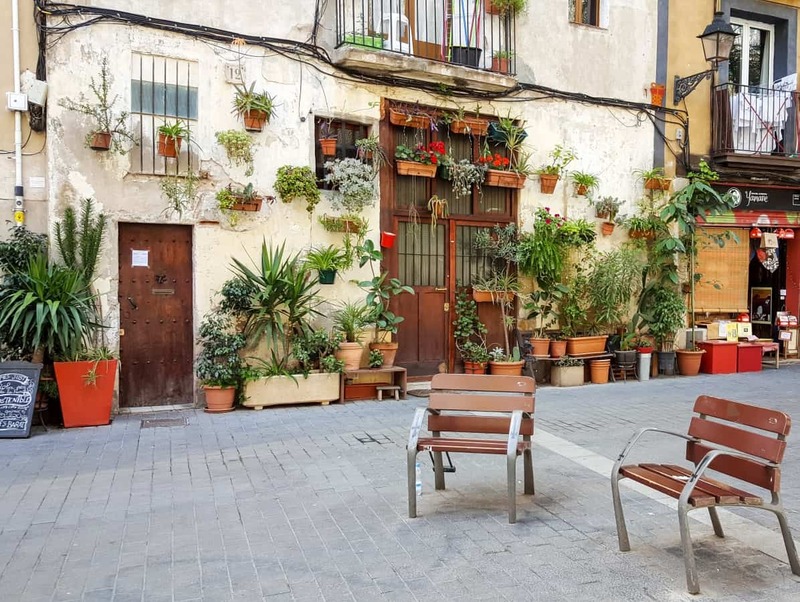 This lovely, quiet, tree-lined street will take you from Eixample’s wide boulevards and into the narrow, winding paths of the old city. At the bottom, take a quick left and the first of many of El Born’s beautiful squares will open up in front of you. This is Plaça de Sant Pere. On your right there’s a bar called La Candela to keep in mind for when you take the bike back at the end of the tour. Its terrace in the square is a pretty good spot to sit and watch the world go by. After a lap of Plaça de Sant Pere, double back to where you entered the square earlier, and head down Carrer de Sant Pere Més Alt. After a couple of minutes, the art nouveau wonder that is Palau de la Música Catalana will appear on your right. Built by Lluís Domènech i Montaner between 1905 and 1908, it is a UNESCO World Heritage site and one of those buildings that is equally impressive inside as it is outside. 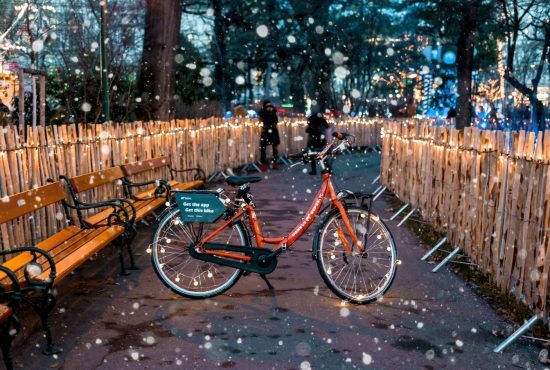 If you feel like exploring it, lock up the bike here for a while. El Born is full of hidden Barcelona gems that you would never know about if you hadn’t stumbled upon them randomly – or read about them here :). One of these is right next to the Palau. It might be one to remember for later when the ride is over and you fancy a beer to cool down. Antic Teatre on Carrer de Verdaguer i Callís is a creative space hosting different performances, but it also has one of the most beautiful beer gardens you’ll have ever sat in, outside. Tables and chairs circle spindly trees, with lights inside bird cages hanging from their branches. 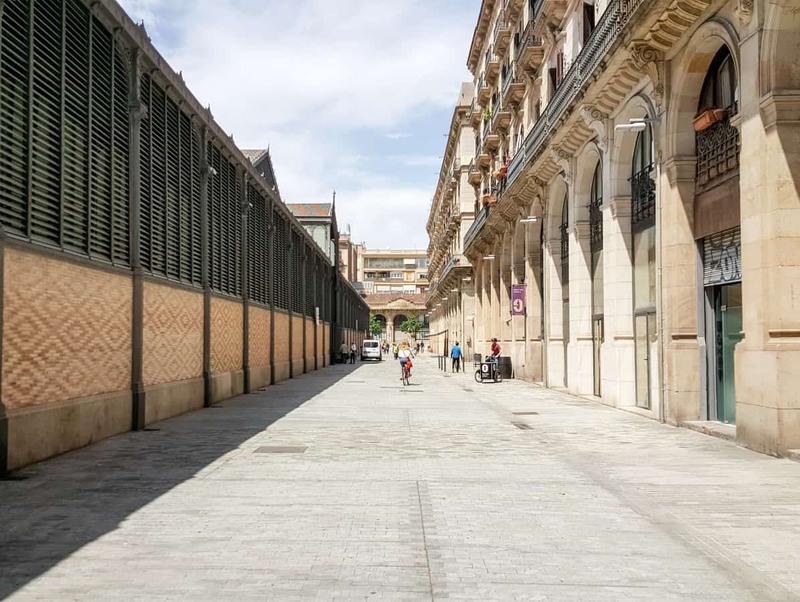 Follow this road down a little more, past a great Italian restaurant called Le Cucine Mandarosso on your left, and then follow my route until you find yourself on the other side of Plaça de Sant Pere, which you explored earlier. From here, take a right onto Carrer de les Basses de Sant Pere and past a craft beer bar on your left (another place to remember!) called Ale and Hop. Wait a second. I should have asked earlier, but you do like idyllic-looking squares don’t you? OK, great. I thought so. Because El Born has quite a few of them. And you’re about to hit another one. 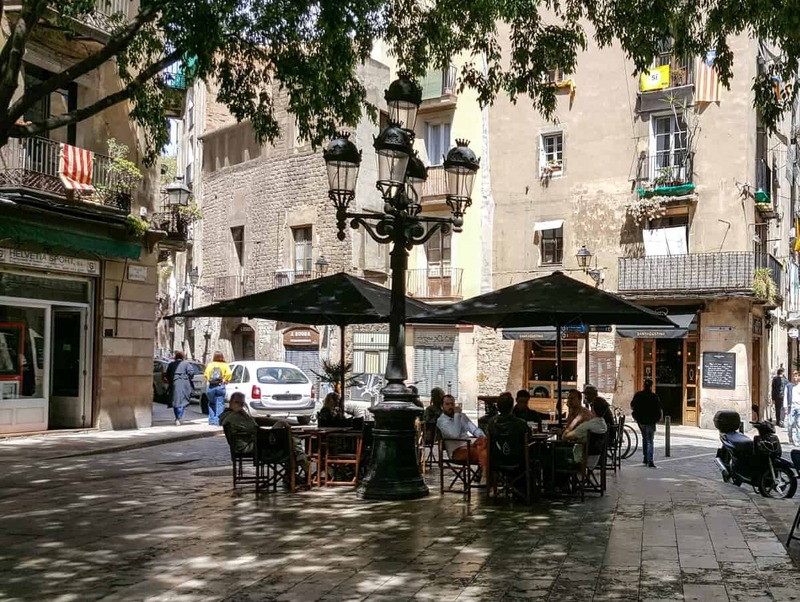 Plaça de Sant Agustí Vell is the sort of place you’ll want to hang around in for a while. Why not lock up the bike and eat some tapas outside Restaurant Cal Joanet? 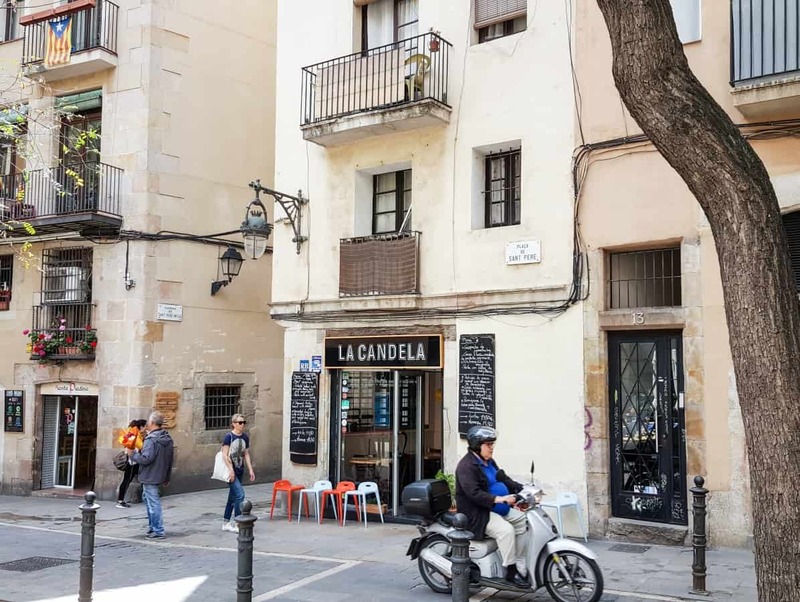 Exit the square onto Carrer d’en Tantarantana past another hidden Barcelona spot that you could easily miss on your left – the Centre Cívic Convent de Sant Agustí. Take a quick left onto Carrer del Comerç and then ride down to El Born Centre de Cultura i Memòria. If you think this building looks like a market, that’s because it was one. Now it stands more as a reminder of the old El Born, as the remains of streets that stood here hundreds of years ago were discovered underneath the market building and are now on display inside. Take a ride around the perimeter of the building. There are some nice restaurants around here if you feel hungry. At La Paradeta you can choose from a wide variety of seafood, cooked pretty much as you like it. And if you’re in the mood for Mexican food, Tlaxcal is possibly the best in town. 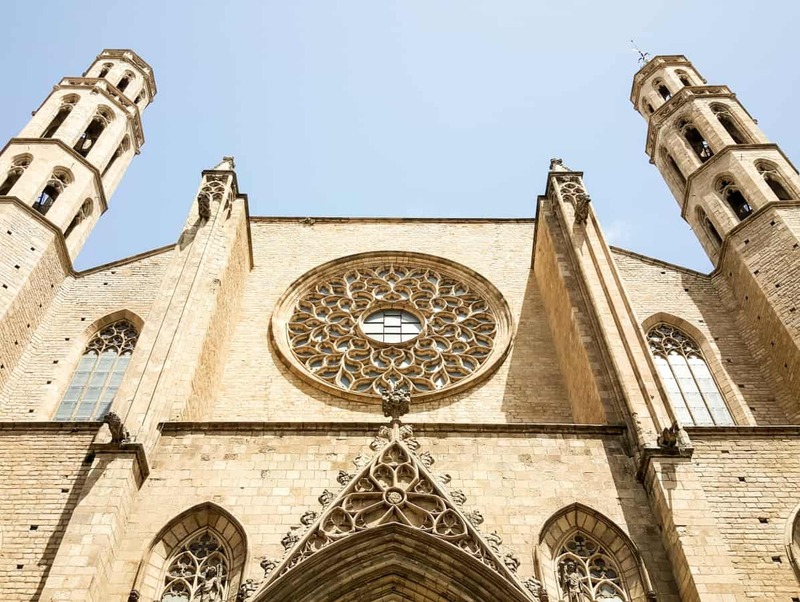 Once you’ve eaten, follow the trees that line Passeig del Born until you arrive at one of the most famous landmarks in El Born, and, indeed, all of Barcelona – the Basilica of Santa Maria del Mar. This impressive church dates back to the 14th century and has some interesting carvings on the outside of the ordinary workmen who helped to build it, carrying the stones on their backs. From the front of the church, if you turn around and look behind you, there are still some medieval buildings housing bars and cafes on the ground floor. Circle the church and make your way up to Carrer de Montcada. You’ll cycle past an El Born institution – El Xampanyet. This bar serves tapas but, as the name suggests, it specializes in Cava. Given that it isn’t too far from the Picasso Museum, it can get quite busy, but I’d say it’s worth squeezing in and soaking up a bit of the atmosphere. Do you remember me telling you that there are parts of El Born that get a bit crowded? Well, it was this street that I was thinking of in particular. As you go past the Picasso Museum, be prepared to ride very slowly, and even to push yourself along in places. Once you’re past it, it should improve a lot! How are you doing? Are you OK? Great, because we’re going to the park now. But we can’t very well go to the park without something to eat when we get there, now, can we? So, let’s pick up something sweet first! 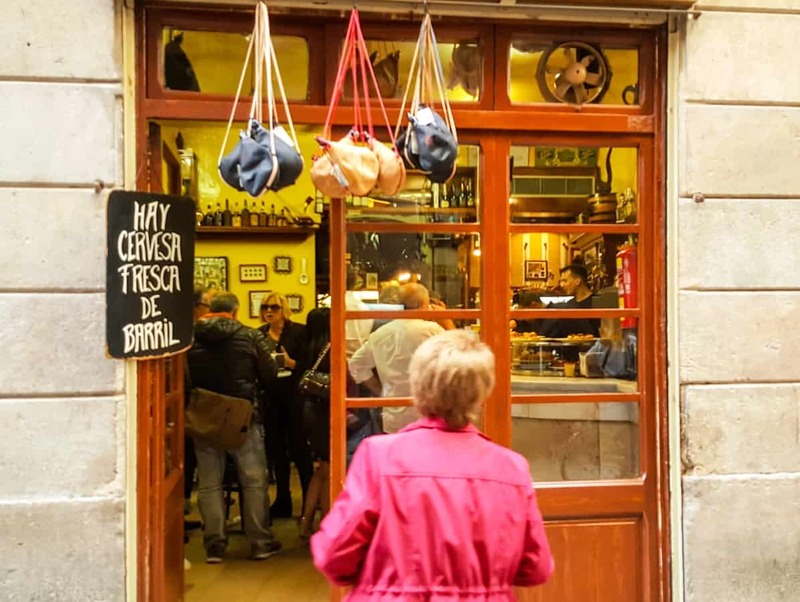 Take a right onto Carrer de la Princesa and pop into a place called Demasié on your right. The cinnamon rolls here are a bit good. Well, very good actually. You really should probably just buy one and see what I mean! Ok, now we can go to the park. Follow Carrer de la Princesa all the way to the end and then an oasis of green will open up in front of you. Barcelona doesn’t have many parks, but Parc de la Ciutadella, created at the end of the 19th century, makes up for it. There are lots of interesting buildings here to explore, as well as a little pond where you can take out a boat. There are also plenty of cultural activities happening here all the time, whether it be street food festivals or just an outdoor art class. It’s pretty cool exploring it on two wheels. Once you’ve done a lap or two of the park, head up toward the Arco de Triunfo at the top of it. This is another symbol of Barcelona and a nice place to chill out for a while. From here you’re very close to where you picked up the bike to begin with, so you can always drop it off and come back. So, that’s my hidden Barcelona tour of El Born! I hope you’ve enjoyed exploring one of Barcelona’s prettiest barrios. 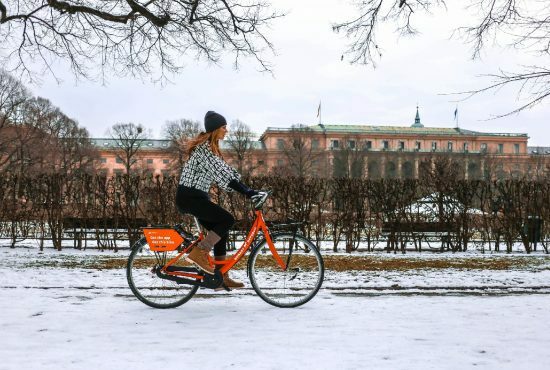 If you want to read more Barcelona bike routes I’ve already written, head over here.